How can we improve outcomes in a broken system? The initial promise of the SEND reforms has been replaced with confusion, frustration and delays. The system works well for no one, least of all our children and young people. Back in September 2014, there was a lot of hope that the introduction of the SEND reforms would bring better outcomes for young people and their families. Indeed, it was an exciting time to be a SENCO: the legal definition of SEND remained the same (if not slightly broader) under the Children and Families Act (2014), and we could aspire to better collaborative working with families and health/social care services. But the reality has turned out to be quite different. Now we fast forward to the post-election uncertainty of the last week. In an excellent post on the Special Needs Jungle blog, Barney Angliss (@AspieDeLaZouch) offers whoever will be the next minister for SEND a list of issues that need addressing urgently. His points amount to a gloomy indictment of the SEND reforms: after all the initial promises, we are now looking for the new government to ‘fix the broken system’ – to prevent young people and their families from being any worse off because of inadequate funding or improper provision. Simply put, some argue that we are in a far worse position than before the reforms, which simply shouldn’t be the case. I have written many times about the need to ensure that everyone, especially parents and carers, has a good knowledge of the law. However, our knowledge of the law is only useful if we can apply it when navigating the system. 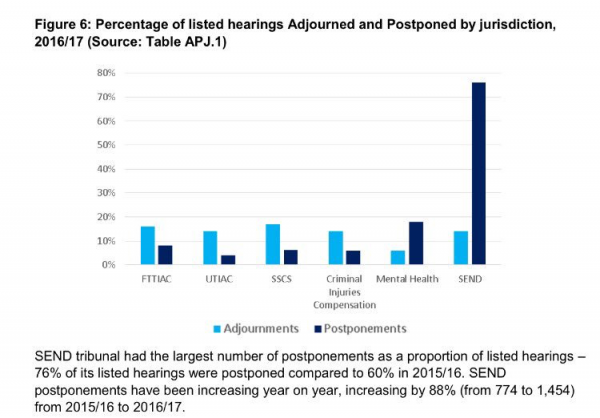 Far too many SEND hearings are being postponed, meaning that even though a process is in place, there’s a considerable delay before anyone sees a real change to provision. I can only speculate on the root causes of this impediment, but I do fear that the loss of expertise and capacity in local authorities (who are responsible for co-ordinating EHCPs and provision) and the fragmentation of educational services have only complicated matters further. The road to justice is long. Last year saw a 43% rise in appeals from 2015/16 (4277 in 2016/7; 3236 in 2015/16). A protracted process simply isn’t what the reforms promised, and isn’t what our young people deserve. Indeed, if a system is working surely there would be fewer appeals, as more needs would be met prior to starting a process of redress? As an individual (SENCO, parent or carer, for example), it’s difficult to make changes in a system so needlessly complex. But our priority has to be aiming for better outcomes sooner. We should be finding solutions and agreeing on provision before we even reach the tribunal stage. Of course, this is easier said than done: waiting times for mediation (prior to tribunal) are shockingly long too, as Barney identified in the aforementioned post. Even if the new minister is conscious of the issues that urgently need addressing, we can expect to see little immediate change in the current system. 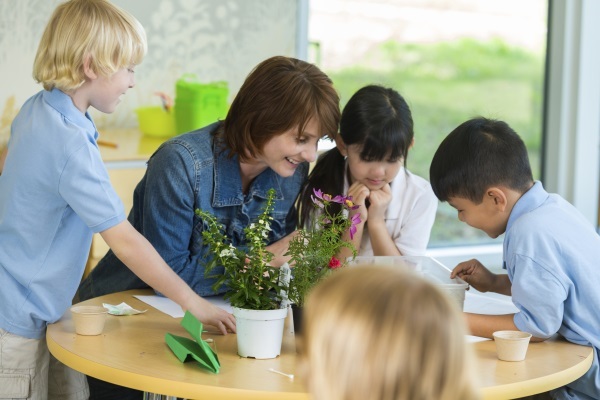 But the danger is that expecting schools to make short-term improvements to outcomes pushes on an already overburdened sector – and in the long term, to what avail? All Statements of SEN are due to become EHCPs by 31 March 2018, which in effect leaves just over two terms for any remaining transitions to take place. For some schools and local authorities, this adds even greater pressure. Quite what the implications will be if this deadline is missed I’m unsure: will Statements become valueless (illegal) from 1 April 2018? If so, this will no doubt add to the anxiety and strain with which some families are already suffering. We need clarity on this ‘deadline’ as soon as possible. If your local authority hasn’t already started the EHCP transition, it must do so in the coming autumn term at the very latest. This is so the twenty-week process can be completed in time You can read about our EHCP experiences from a parental perspective in an earlier post. We need to review things as they stand currently. Not a day goes by without a parent or carer contacting me with a story of missed deadlines, battles and frankly illegal provision. But as ever, a solution-focussed approach to all things SEND requires us to think about what we can actually do today. develop what effective co-production really is. We work tirelessly with families to find joint solutions and better outcomes in a difficult system, it can be done! I will be working tirelessly to make these principles a reality over the forthcoming year. Look out for future posts where I share what works well and what doesn’t. Remember, together we are stronger. We can make a significant difference to the lives of the young people and families with whom we work. ‘DfE statistics on the Special Educational Needs and Disability reforms – could do better?’, Boyes Turner, 12 June 2017. 'SEND: thinking the unthinkable', Schools Week, 5 July 2016. 'Research and analysis of the State of The Nation for families of disabled children', SENDirect.